Jack Morton Worldwide will create the New Year's Eve fireworks display on behalf of the Mayor of London for the ninth consecutive year. The fireworks display will celebrate a year which saw the capital host the London 2012 Olympic and Paralympic Games and the Diamond Jubilee celebrations. 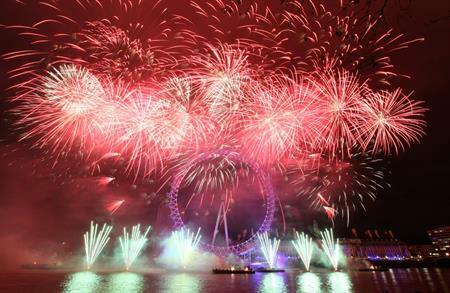 The Mayor of London Boris Johnson said: "Our New Year's Eve fireworks will cap a triumphant year for London. As we welcomed the world to the magnificent celebrations for the Queen's Diamond Jubilee and the glorious success of the Olympic and Paralympic Games, London was at its very best. "As we go into 2013 with a spectacular fireworks display I hope we can build on that energy and enthusiasm to make ours the best big city in the world." It is estimated that more than 200,000 people will line the banks of the Thames to watch the display, focused around the EDF Energy London Eye. The Jack Morton team is creating an exclusive soundtrack to accompany the display curated by creative director, David Zolkwer. "We are honoured to help bring down the curtain on what has been the most extraordinary year for the capital and to once again help showcase London to the world." said Jim Donald, executive producer, Jack Morton Worldwide. Jack Morton Worldwide works in conjunction with multiple agencies across the capital to ensure the event is planned and delivered safely. These include: Greater London Authority; Metropolitan Police; Westminster City and Lambeth Borough Councils; Transport for London; The Port of London Authority and London Ambulance Service; and London Fire Brigade.